This stock assembly provides the Winchester12 gauge 1300 shotgun with an AR-15 M4 (6) position collapsible stock and tactical pistol grip. 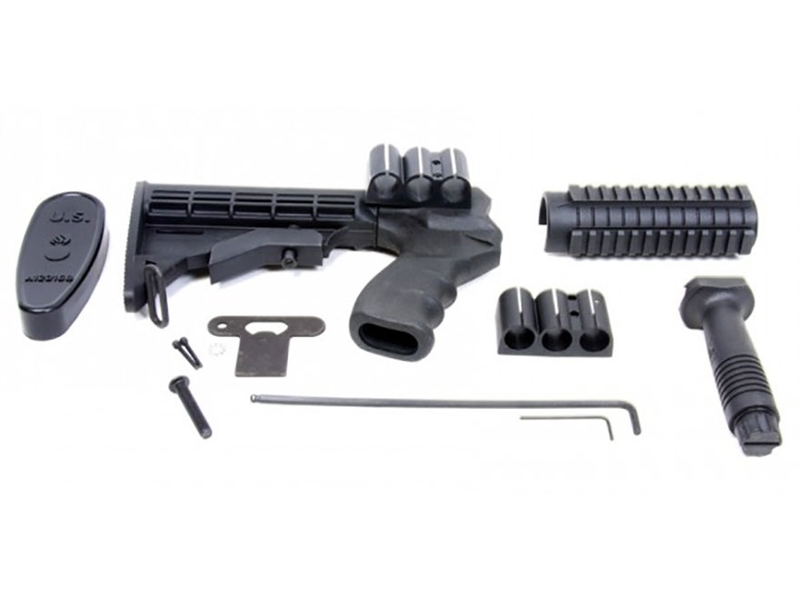 Constructed from injection molded black polymer, the kit includes the PM175 Tri-Rail Fore-end with molded-in Picatinny rails at the 3, 6, and 9-o’clock positions, allowing the use of rail-mount accessories such as lights, lasers, and the included PM007, “Swiss Pattern” vertical fore-grip. Two 3-round shell-carriers are included that mount, left and right, above the pistol-grip on the “recoil” tube. Also included is the PM088 Recoil Pad. All mounting hardware is included.